Hiya everyone - another Friday, another fabulous challenge over at the TGF blog for Farm Fresh Friday! The theme for FFF this week, hosted by the lovely Marcy, is - BLING! 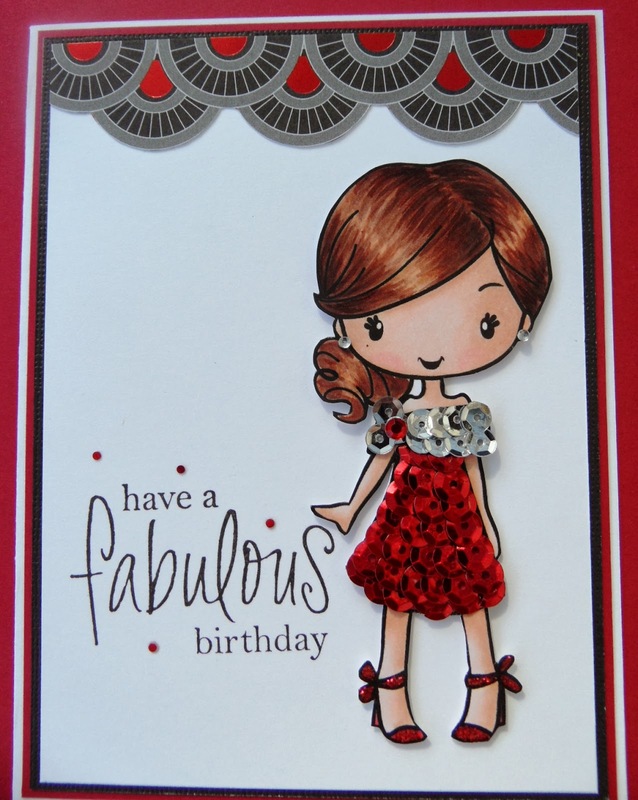 For my card I used one of the Miss Anya Night Out images, and I went bling overload!! I spent quite awhile laying sequins on her dress. You know when you get an idea of a card in your head, then you go to do it and realise that it was harder than it seemed in my head!! Anyway I persisted and loved the result. I also glittered her shoes, and of course had to add some earrings! And here is a close up of the image.